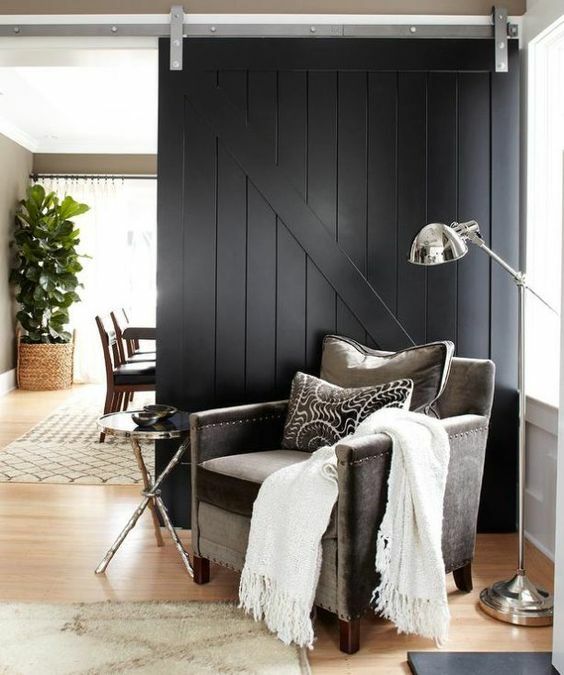 Don't you just love a good sliding barn door? 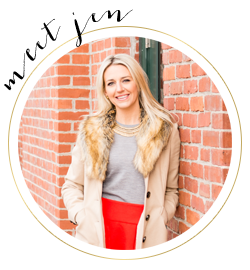 They save space and can be used where you can't otherwise use a swing or pocket door. 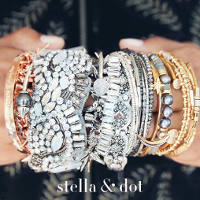 I love them on laundry rooms, pantries and used as office doors. I'm especially loving the painted barn doors in fun colors. 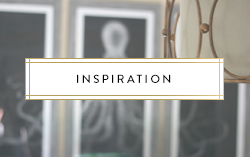 I've rounded up some of my favorites to share with you that might inspire you to hang one in your own home. 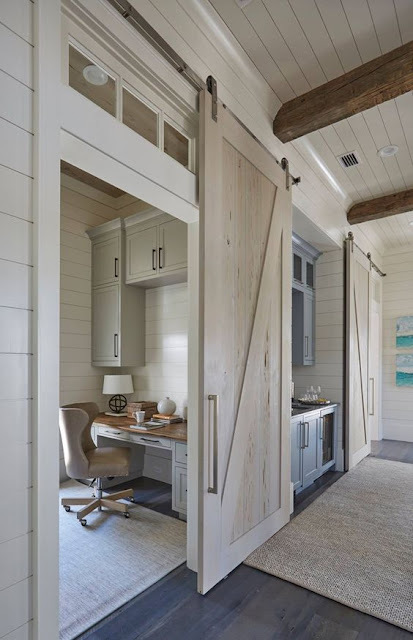 Barn doors don't necessarily need to be rustic as seen in these spaces. 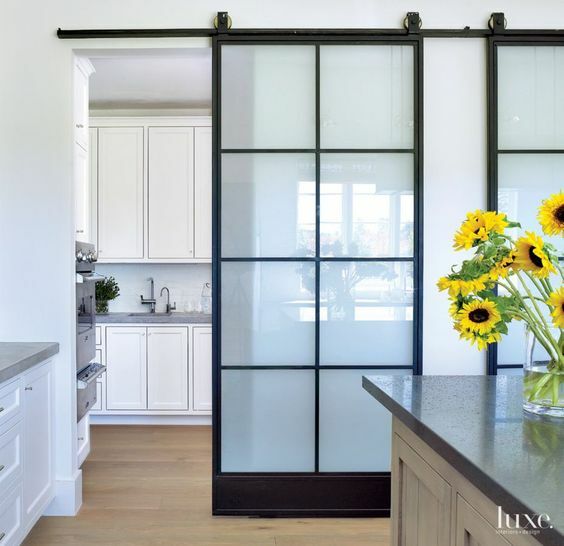 These modern black framed doors were used to divide these spaces in the kitchen. 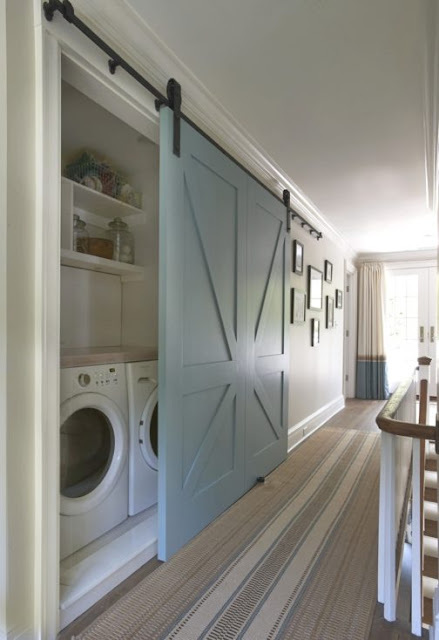 Beautiful blue barn door conceals a laundry room. I may actually like doing laundry in this space. What was once a wall that led into a dining room, now has this dramatic black painted barn door that can close off the dining area if needed. Gray barn doors add character to this hallway and how amazing is that ceiling? 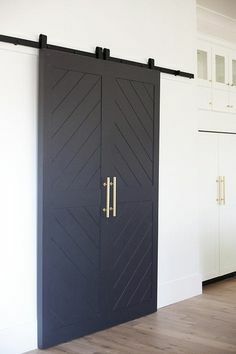 These modern black chevron barn doors conceal a pantry and look great with the gold Lew's hardware. 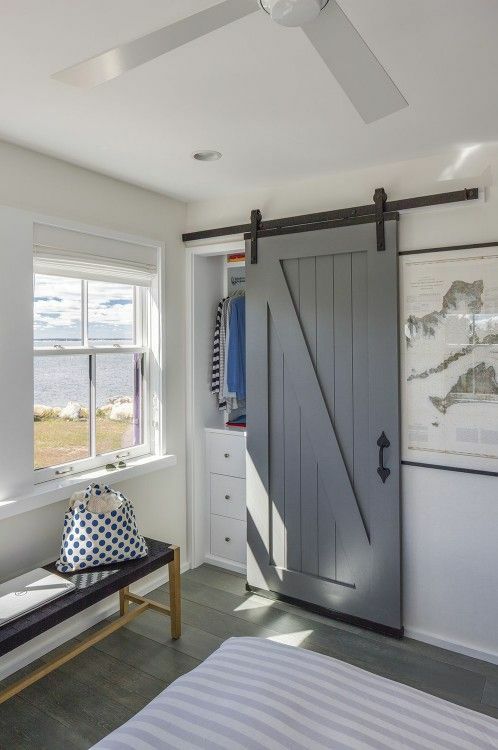 Using a barn door as a closet door leaves the gorgeous view in clear site in this bedroom. 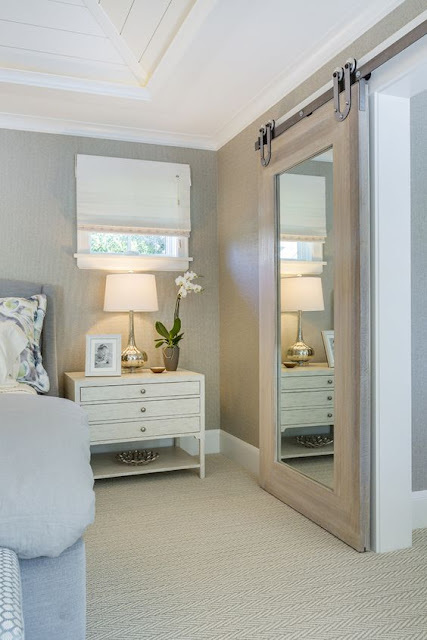 A great way to add a full length mirror to a space, inset into a barn door in this master bedroom. 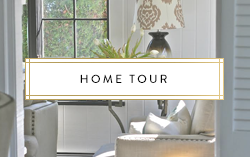 Ever think about moving to a different area so that you can have a home like this? Well, I did when I saw this house. I just love the architecture of Southern Homes. These barn doors in this home conceal an office and bar and below a small sitting/reading area. 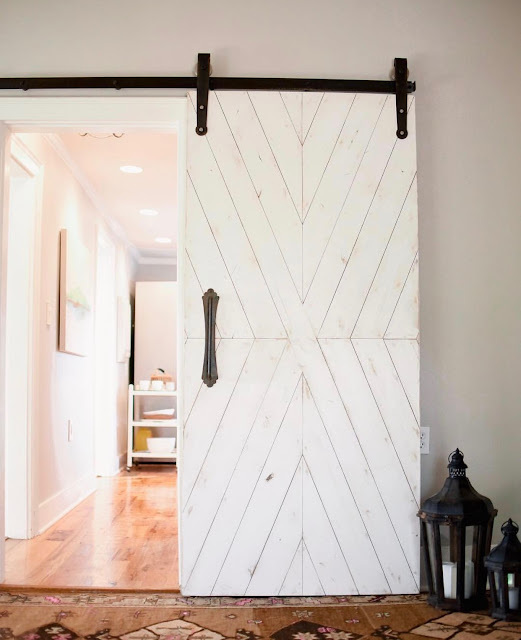 You can create your own barn door with most DIY kits sold at big box stores or there are some really great sources online as well like this one from White Shanty Design. 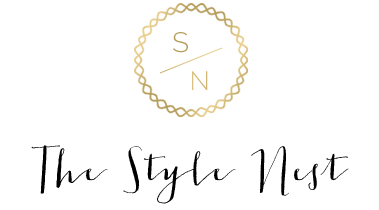 Their collection of barn doors is incredible, I highly recommend checking them out.